f you didn’t already know, Math Journaling is my JAM! It may be my favorite thing that goes on my my classroom, no matter the grade level! My goal for today is to provide you with big picture rationales and objectives, as well as explain some of the smaller details to help you implement math journaling in your own classrooms. 1. It doesn’t matter what math program you use in your school, because math journals are a great addition to ANY math program from grades K-12. 2. It is an open-ended and therefore, naturally differentiated assessment. 3. It shifts the instructional focus from computation to problem solving and real-life application. 4. It creates a documented portfolio-like record of student growth and progress. 5. Teachers gain insight into children’s abilities, opinions, understandings, and misconceptions. 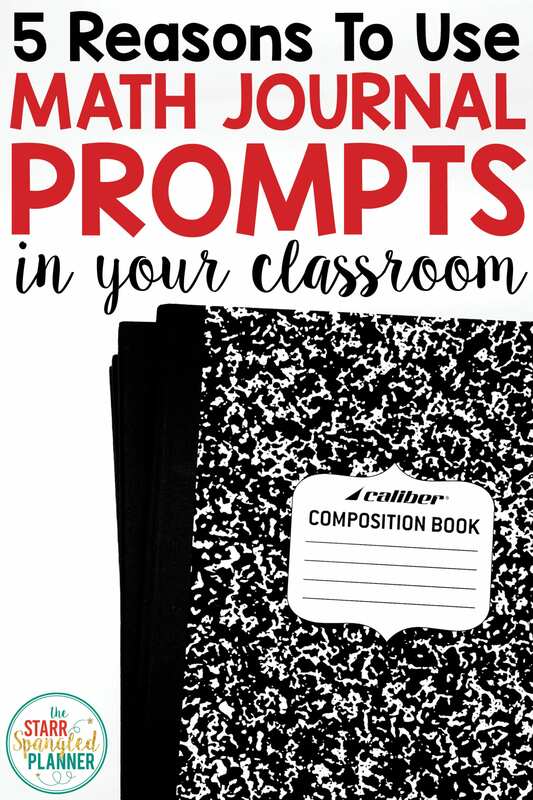 I use open-ended prompts in my own classroom. The most important piece to remember is that each type of prompt will provide you with information. You need to determine your instructional needs, and select the type of prompt that will best match them. 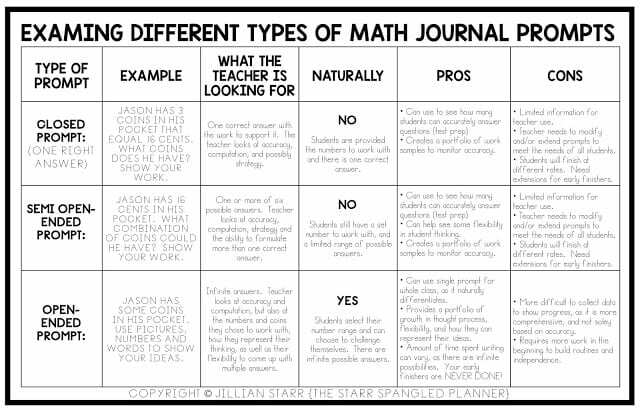 This section is mostly to help those of you looking to implement open-ended, math journal prompts in your classroom. It is no secret that implementing this kind of work requires a lot of explicit instruction and modeling before we can expect our students to work independently. Much of this is because our students have not been exposed to this kind of mathematical thinking. Most students think of math as a series operations they must compute to find the correct answer to a number sentences or word problem. 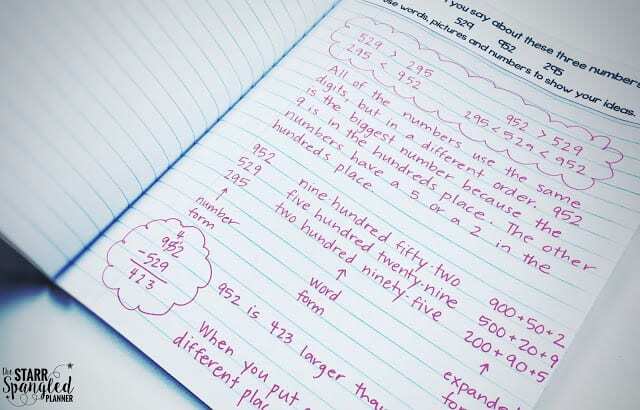 Initially, math journaling can be very uncomfortable for students who struggle to expand their definition of “math” or “math work.” Often, these mental barriers need to be broken down before the real thinking can even begin. Here are the highlights of how I implemented math journals in second grade this year. I started off the year doing the journal prompts as a whole group. I put the prompt on the top of chart paper or our smart board and allowed students to share their ideas while I wrote them down. This way, my students could see a variety of ideas and understand that there were multiple “right answers,” as this can often be difficult for them to understand. From there, I had them jot a few of the ideas from the whole group discussion into their journals to document the discussion (pictures and/or words, as many aren’t writing yet). I made sure to leave the chart paper/smart board document up to alleviate any anxieties that students may have had about trying this for the first time. I also wrote the different ideas in different colors so students could better identify their own idea (“mine was the red one!”) or that of their friend. Also, I should mention that I start math journaling by reviewing things they may have learned from the year before. When I taught first grade, these prompts might include: “What do you know about they number 5?” “What do you know about patterns?” or “What do you know about shapes?” Sometimes using information they already know to introduce a new format of learning can prove VERY beneficial! Once they tried this a few times and it seemed comfortable and confident in the process, we tried it individually, but all at the same time. This way I was still available to support them, as opposed to already running math groups and being unavailable. When they seemed to not need teacher support anymore (usually 3-5 times), that was when it became part of math centers. Students were then responsible for journaling independently while I taught a separate group of students in a small math group. An added bonus this year: Math Journaling kept my students engaged and quiet while I completed all of my beginning of the year math assessments! One final plug for using open-ended journal prompts: The work is never finished. 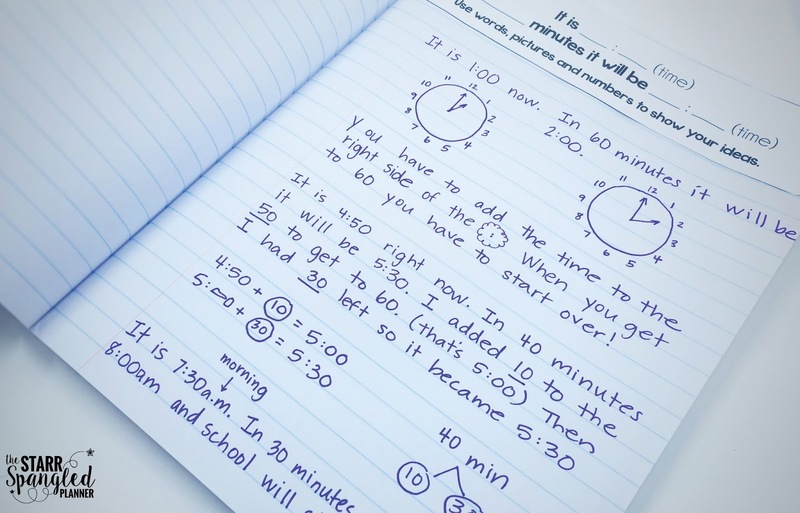 Since there are an infinite number of answers, your fast finishers can never say “I’m Done!” All of your students can work the entire time at their level, and you never have to worry about creating additional work! 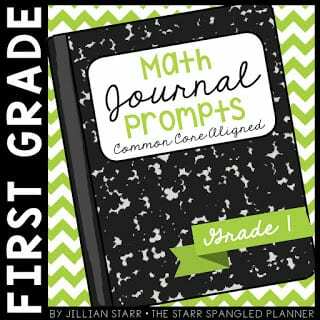 Below are links to my series of Common Core Aligned Math Journal Prompts below if you are looking for a place to get started, or to enhance what is already happening in your classroom. They are currently available for grades K-4! OH my goodness!! 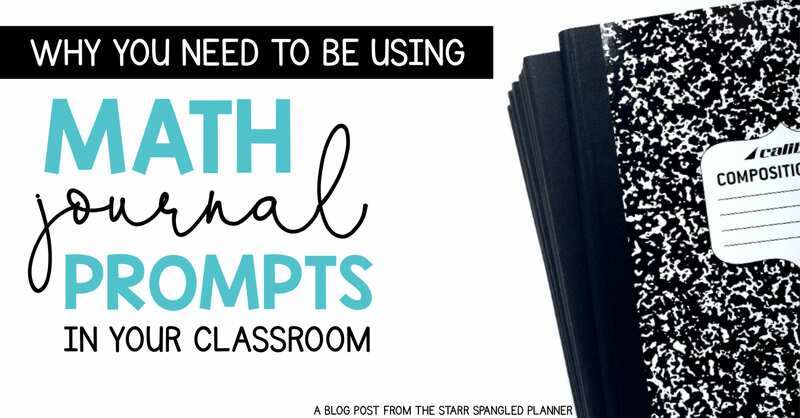 Lots of awesome ideas for using interactive notebooks in math. I have always used them in reading, but never ventured into math… Thanks for the solid advice. I have been searching for a “warm up” procedure for awhile and haven’t found anything I love yet, but this! This is terrific!!! I WISH you has middle school math prompts for common core because I would definitely buy them!!!! I never had one but I am going to try one. Thank you and keep it coming!! 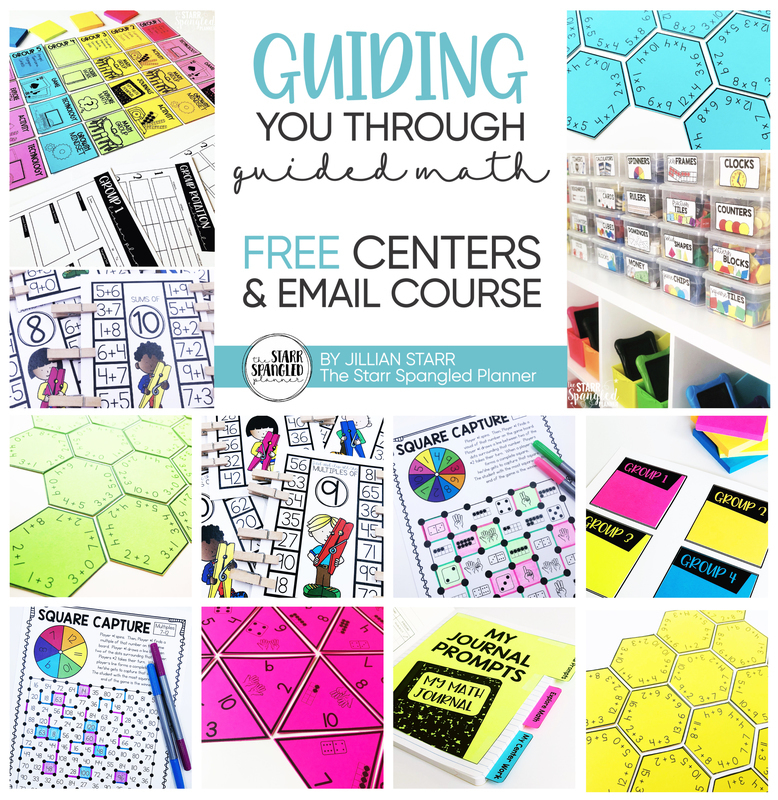 Oh how I wish you had this for fifth grade! 🙁 Love it so much!